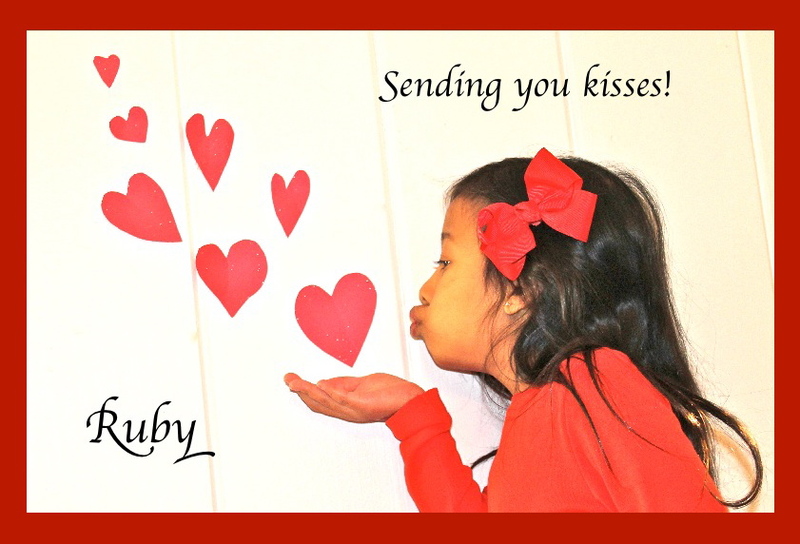 A sweet and easy DIY card for all the Valentine’s on your kid’s list! While hunting for inspiration online, I found this cute idea by none other than Martha Stewart. After choosing the right shot, I lightened it up on iPhoto, cropped and saved. 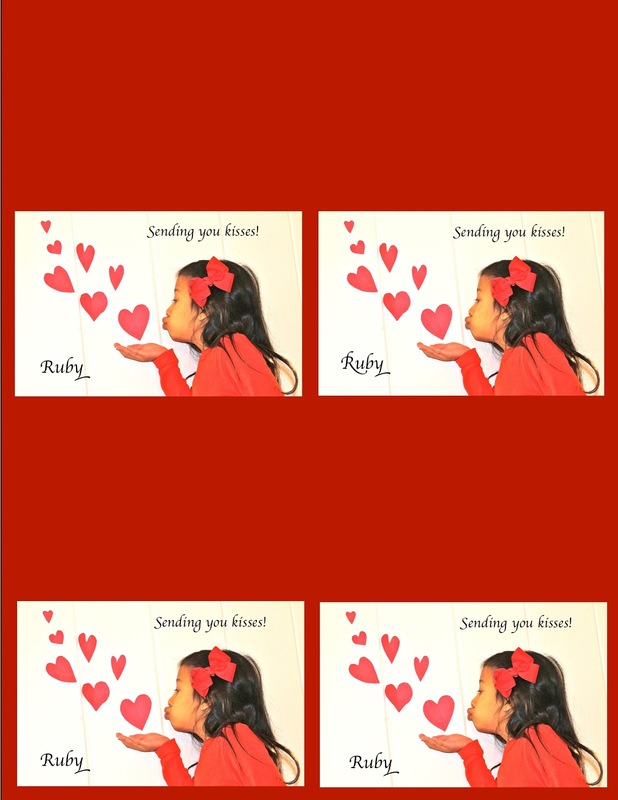 Then I went into my iPages program and made a plain red background. I added the pic 4 times, leaving enough room for folding. (See example below). Since I knew we’d be using Hershey kisses, I added some text and her name at the bottom. You could leave it blank or make up your own catch phrase or message. Cut, fold, and staple onto a clear cellophane bag filled with goodies! 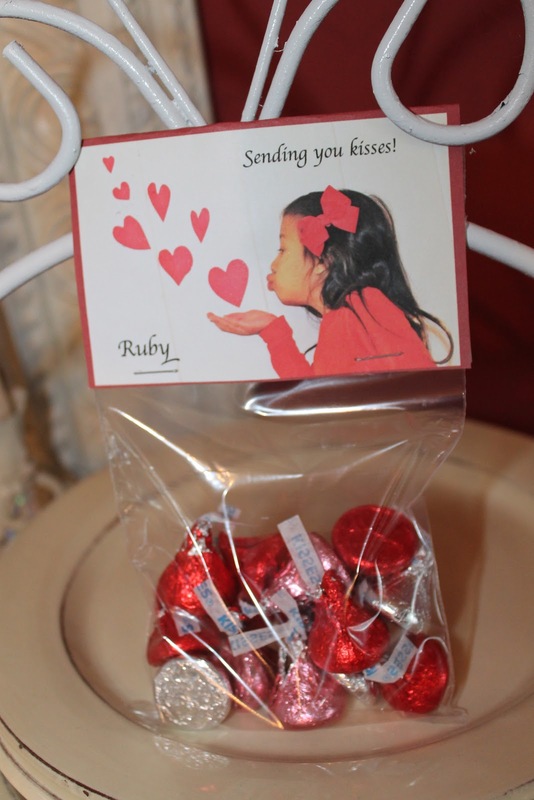 Sweet treat bags are ready to be shared! Thanks, Martha, for the great idea! 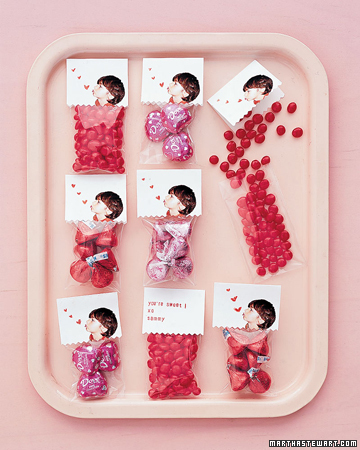 Have fun getting ready for Valentine’s!